Seems as though tracking your heart rate is not enough, now the military and MIT are thinking about tracking just a bit more of our soldiers. Militaries want soldiers to carry an increasing amount of tech on to the battlefield, but that isn't necessarily convenient -- or comfortable. 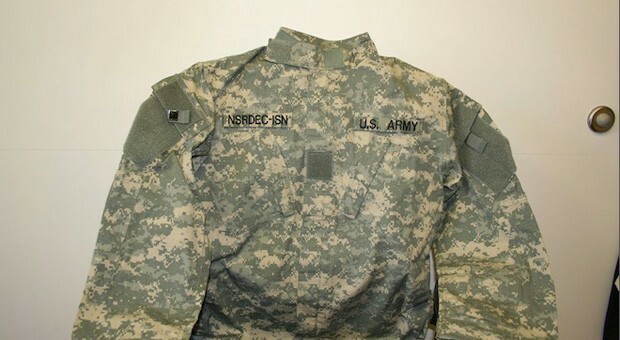 MIT and the US Army have started early work on uniforms with fiberoptic sensors that would alleviate much of that burden. By weaving in microfibers cut from a mix of specialized, fluidized materials, the partnership can build data links that cover the entire body without breaking or adding significant bulk. They could serve as basic elements of a communication system, but MIT has broader ambitions: the sensors could track wounds through heat signatures, and just might prevent friendly fire incidents by sending a don't-shoot signal when targeted with a laser sight. The fibers still have to get much thinner before the Army can offer smart uniforms as standard issue, but the wearable tech may keep soldiers nimble and, just possibly, save a few lives. I like seeing how the bike company is going. designers are now getting there chance to showcase their bikes. The Dream Machine, a futuristic racing bike by Italian design studio Jonny Mole Design, recently was selected as a winning entry for the Bicycles category in the Taipei Cycle D&I awards 2013, an event organized by iF DESIGN to reward the best projects in the bike industry. The award will be presented on March 23rd at the Taipei Cycle Show, where the Dream Machine will be on display along with winners in the components and parts, peripherals and accessories, and e-bikes and pedelecs categories.